As cyclists, most of us always wonder whether it is necessary for us to take up yoga. 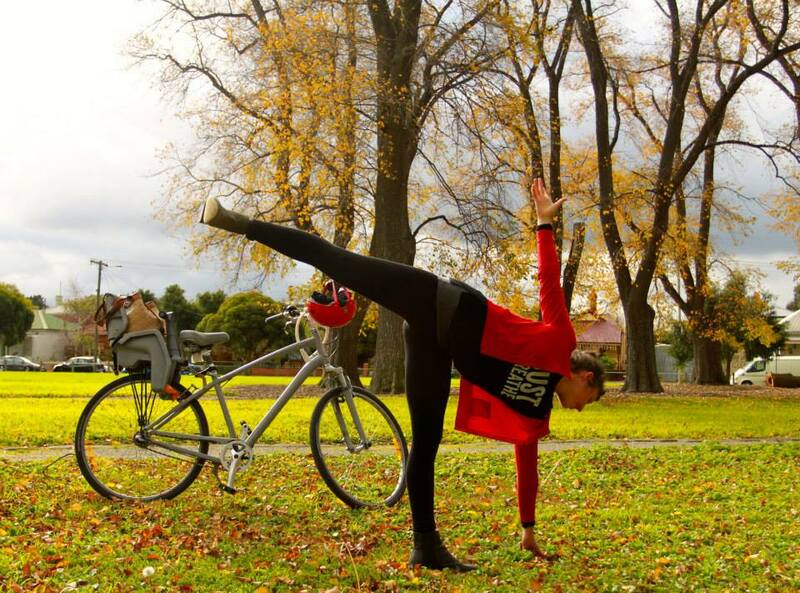 We, even question how beneficial yoga is for cyclists. We often conclude saying “We already bike, why yoga”? There are also a few who find stretching to be a task, let alone yoga and its many benefits! To begin with, yoga gives us the ability to maintain a healthy and strong body. It works on the flexibility and strengthens the legs, upper body and core. Even cycling does that, right? Well, yoga not only strengthens but it also relaxes the mind, body and soul. It targets those deep muscles of our bodies that we may not use in our day to day chores. The benefits of yoga are many, but to start off with, it will help us focus and improve cycling. As most of us are aware, Yoga offers different styles and many varieties from the slow grounding style of Hatha yoga, to the controlled powerful pace of Ashtanga yoga. All of them are beneficial; however, the most applicable yoga for cyclists are styles that focus on continuous movement. This is because these styles will provide a workout through a full range of movements that will help build great muscle endurance. Styles such as Ashtanga work best yoga for cyclists. On this World International Yoga day, we thought of listing you the benefits of yoga for cyclists. Calm is a super power; and yoga will help you to do just that. For example: You’re on a long ride. You can calm your mind to your breath, like you do in your yoga practice. You can use this to push through the pain. When you’re in the resting poses, you’re aware of your breath. You’re mindful in that posture. Use that yoga training to connect your mind to your breath and relax into the saddle. When the body is stressed and tensed, your breath will help calm your mind and give you more endurance, especially when you are pushing through a climb or racing through a time trial. Yoga teaches us to be under pressure, but it also teaches us to use the breath and release that tension we create, out of our bodies. It also helps control shallow panting. Learning how to control your breathing is an important aspect of training and racing for any endurance athlete. With good yoga, comes great flexibility. We all talk about how yoga experts are so flexible. As cyclists, we often spend a lot of our time hunched over the handlebars. This puts a stain on not just our lower backs but also, our shoulders and necks. Cyclists often complain of tightness in the hamstrings and hips. Not to forget the pain of aching shoulders and stiffness after long rides. Yoga will help your body loosen the tension out and you will become more flexible. It will release all the tension in your back and legs. Of course, flexibility will help improve your cycling performance and even reduce the risk of injury. When you start off, there will be soreness, but practicing yoga in the long term will reduce that muscle soreness. In time, it will also help you relax your mind and body. We have already heard this time and again, yoga helps you strengthen your core. Yet, we fail to evaluate how this all works. The strength built from doing yoga will help you feel more relaxed and calm when you’re on the saddle. It will give you the ability to concentrate better and stay more focused while climbing and descending. In addition to this, you will have added strength and flexibility in every phase of your riding. Yoga exercises will help to align your spine, release back and neck pain; which in turn will give you more flexibility in your upper back. This will help you when doing long rides and regularly getting on their bikes. When you first start yoga, some of the poses will need a lot of strength. But as you keep practicing it, yoga will help teach you to stabilize the muscles, using balance and strength. Some people think of the core as just the abs. Of course, they are an important set of muscles, but there are also more than 20 muscles attached to the lumbo-pelvic-hip complex. Yoga doesn’t just take care of one area, it works the whole region. A strong core makes you a better cyclist but cycling does not make your core stronger. Lastly, as cyclists, we need to focus on leg strength. Yes, many of the poses in yoga target in strengthening the leg muscles, but they also need to focus on flexibility and lower back strength. As cyclists, we spend most of our time bent forward over the handlebars, which leads to tight hip flexors. Many yoga poses for cyclists target the hip flexors and lower back, helping to balance muscle strength and prevent injury. Our bodies are designed differently and have limitations. So make sure, you don’t push yourself and overstretch which will put just as much damage on the body. Listen to your body. At the end of the day, you have just one body. You’ve got to take care of it. It is about your body and how you feel on that day at that moment. Focus within; leave all the anger, sadness and ego behind. When cyclists injure themselves it is usually due to an imbalance related to weak backs or core. But, doing the right yoga for cyclists exercises will strengthen your whole body, legs, core and back whilst also giving you a good posture. There is a stereotype in yoga that it is just designed for women who want to stretch. Let’s keep that mindset away. Yoga can be a strong powerful workout. The focus you invest in during class is what you will get out of it once you are on your bike. You may feel sore after class and work, but there’s always a silver lining. This is only to make you stronger and reach the next level of flexibility. Your mind will be relaxed and you will have more clarity and focus for the rest of the day. Last but not the least; you’ve got to make yoga a part of your weekly regime to see the benefits! Rome wasn’t built in a day!